Homeschooling is far from uncommon. 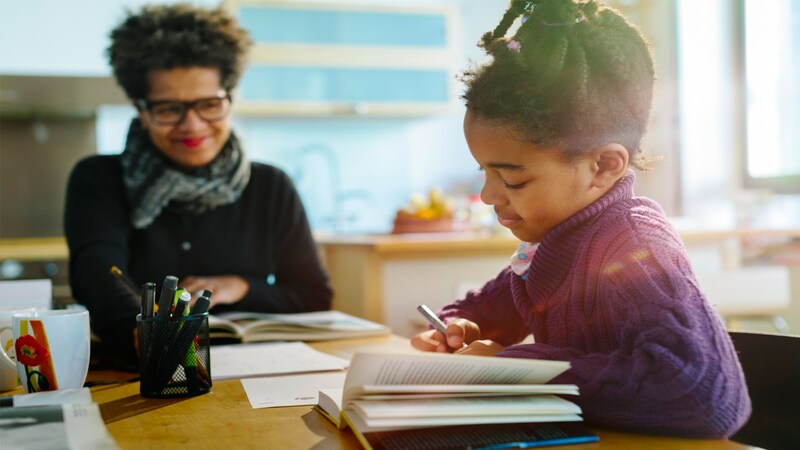 The U.S. Department of Education says that between 2003 and 2012, the number of kids ages 5 to 17 who were taught at home rose 61.8 percent. The most recent data from the National Center for Education Statistics suggests that about 1.5 million students were homeschooled in 2007 and approximately 3 percent of the school-age population was homeschooled in the 2011–’12 school year. Getting an education at home is legal across the country, and in fact, 28 states even allow homeschooled students to participate in public school interscholastic sports. Likewise, more states are considering “Tim Tebow Laws” — named after the homeschooled NFL athlete — that would allow homeschoolers access to school sports. So, why is there so much stigma surrounding homeschooling? Contrary to popular belief, homeschooled students are still given homework, they’re still offered recess breaks, they are still taken on chaperoned field trips — and (perhaps the biggest misconception of all) they still socialize. We asked homeschooling mothers across the country what else they wish others understood about homeschooling. Here’s what they had to say. While it can be hard to understand that homeschooled kids are just like the rest ’em, for many homeschoolers, the worst of their problems are pretty darn similar to those of kids in the school system: pimples at puberty, a crush they text too much, a big soccer game they lost (yep, homeschooled kids play sports too). Other than the usual troublemaking, though, homeschooling parents don’t have to deal with students strolling in late or the one bully who’s always stirring trouble. Their kids are already there, and some homeschooling parents would argue that they face far fewer distractions. For globetrotting families, homeschooling their children might be the only feasible option. And that means their kids get to see and experience the world, while many other students are merely reading about it. “The one thing I want folks to know about homeschooling is that it is not only a viable alternative, but a preferred one, especially for busy families who love to [travel],” says owner of Hip Homeschool Moms Trish Corlew, who hails from the coast of North Carolina. Some public-school teachers put movies on all day and kick their feet up at their desks. Others turn studying for vocabulary into flash card games. Others are super-strict, boring, quirky, inattentive, supportive, engaged, negligent, considerate and so on. And just like those teachers, no two homeschooling parents are the same. Contrary to popular belief, not all kids who stay home for their education do so for religious reasons. In fact, in 2008, the NCES discovered that only 36 percent of homeschooling families say that “the desire for religious or moral instruction” is their primary reason for their decision to homeschool. Other reasons parents choose to homeschool include mounting concerns surrounding the Common Core standards and children who are gifted or who have special needs not receiving the adequate attention they require. They’re not all trapped in the house all day, devoid of basic human interaction. Homeschooling is a big commitment, but if it’s the best option for your children, it can be worth the effort.